I have never had a case for my iPad 2 (though I have always used them on my phone) and was very excited to get the Trident Case for review. The features according to the website are; shock absorbing silicone, hardened outer casing, built in screen protector, silicone plugs to protect power ports, and meets Military Standard for drops/vibration/sand/rain. First of all I will say I have three children who use my iPad. They are 5, 8, and 9 years old. We use it for school work, watching movies/shows, playing games, and it is on the go a lot. I have had it for probably two years now and it travels with us on any trip we make and so on. We have already cracked the screen once so since then I have been extra careful with it. I always freak on car trips now thinking it will get busted again or something worse. KRAKEN A.M.S. 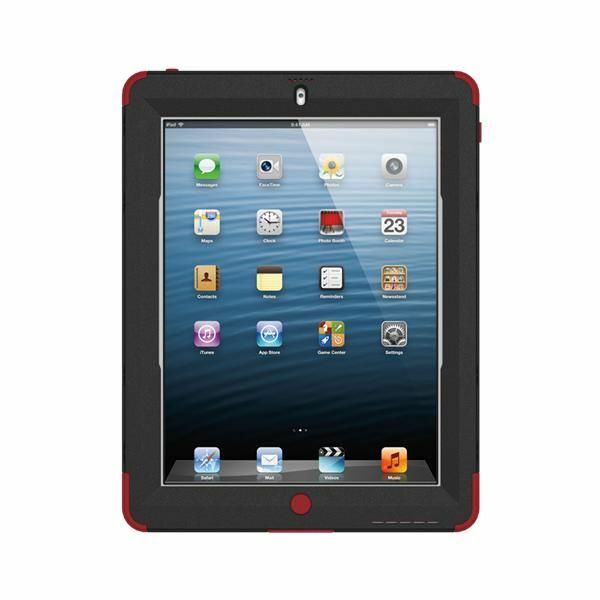 CASE FOR APPLE IPAD 2/3/4 sounded like it would fit all the needs that I wanted it for. Upon arrival I was a bit bummed that the instructions were INSIDE the case. So for those of you that have never used the case before may have a bit of a time getting it open. When you do get to the instructions you will find they are simply made and generic, so not a huge help. However, first glance at the case and it seem sturdy and the lime green accents (there are other color options) were nice. I put it on the iPad immediately so we could start trying it out. The protective screen works great and fit snugly so that there were no bubbles and did not bother the touch screen function. The overall fit was nice and snug too so that nothing was moving around in there. This was great because I knew buttons would be where they needed to be. The holes and covers for all the buttons were right where they needed to be and covered. The things I liked about it was the fact it did seem very sturdy for bump and drops. The silicone gave a cushion on the edges. It was good for my cooking to be able to look at the recipes and not worry about getting stuff on it, the screen wiped off really well. The bright accents make it easier to find when someone loses it :) not that it has happened a billion times. The screen protector did not make a glare when light hit it. I was greatly impressed with the sound. I know some cases muffle sound and the way they have the sound routed to come out the front of the case works really well. I found leaving open the charging port allowed for more sound to come out as well. It is still light weight and didn't add any bulk to the case. This was good because it made it so I could still slide it into my carrier with no problems. Like the picture above it comes apart so that it is easy to wipe down the dust and anything else that may get on it from use. Once you have figured out how to take it on and off initially there was no further problems and I could get it off and on with ease. Our iPad gets used everyday. From my school work, the kids school work, games, movies, and much more. This case really got the use out of it during our review period. We put it on the day we got it in the mail and it has not been off since. 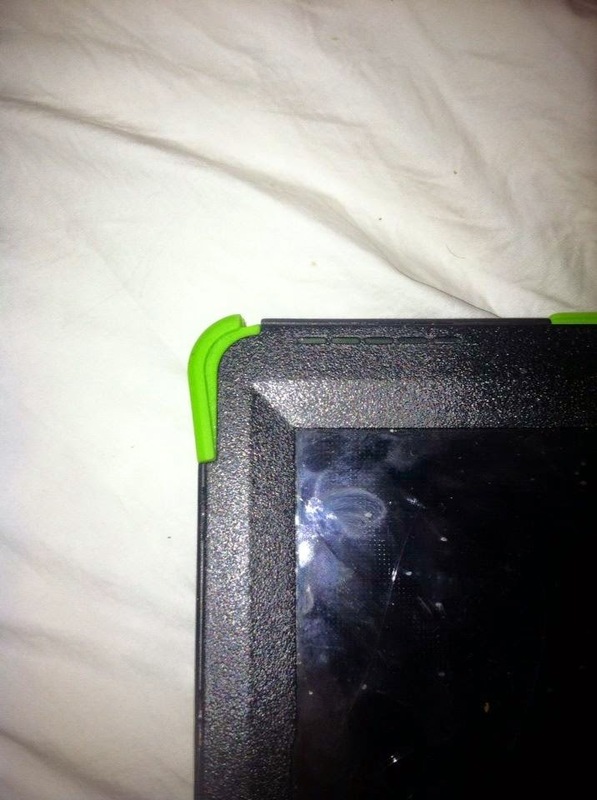 I will say the iPad has been dropped and the case did not break so it done its job. I use it propped up on the kitchen counter to look at recipes while I cook. It was nice not to worry about scrolling with a dirty finger. If it got to messy I could wipe with a damp cloth and not worry about the iPad getting damaged. The kids played videos on it while all over the house. There is a cover over the front camera but not the back. It did not seem to harm the picture quality. The things I did not like about the case. I wanted to be able to let the kids take this outside and do exploring with it. 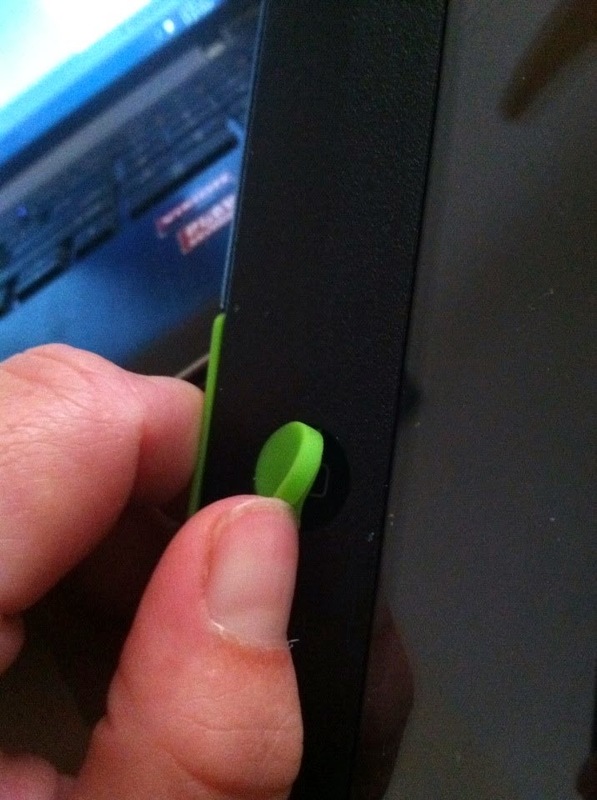 However the silicone cover for the charging port did not stay pushed in, it come out very easily all the time. Also the edges of the silicone stayed pulled out. I kept opening the case in order to push it back like it went and it always came out again. The silicone over the home was a tad bit raised so it promoted little fingers to pull on it like in the picture below. 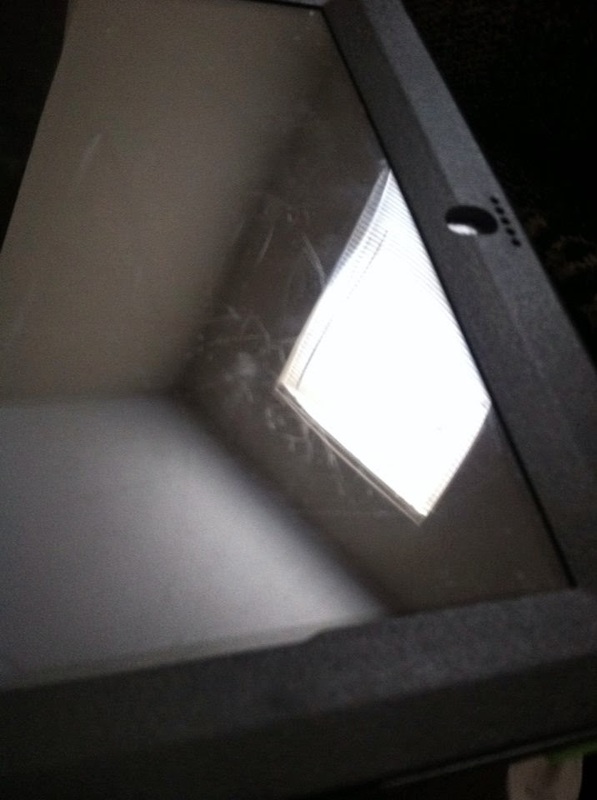 Also the protective cover over the screen scratched up easily. 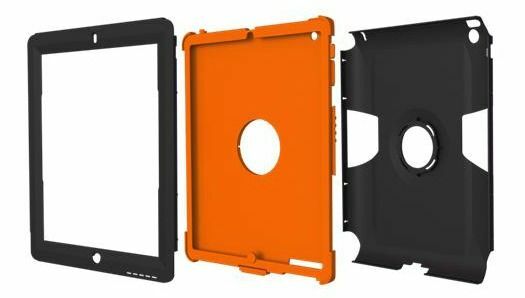 They offer a whole line of other types of cases and colors. Be sure to check them out on the following links.